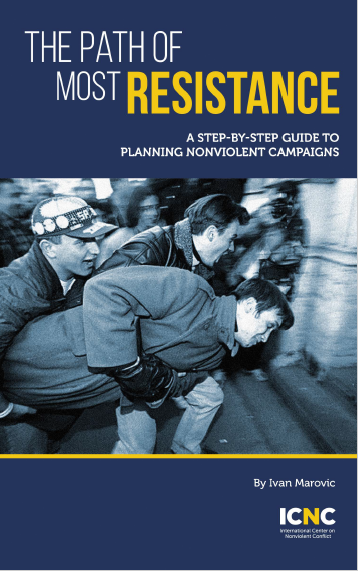 The Path of Most Resistance: A Step-by-Step Guide to Planning Nonviolent Campaigns (Download PDF) by Ivan Marovic is a practical guide for activists and organizers of all levels, who wish to grow their resistance activities into a more strategic, fixed-term campaign. It guides readers through the campaign planning process, breaking it down into several steps and providing tools and exercises for each step. Upon finishing the book, readers will have what they need to guide their peers through the process of planning a campaign. This process, as laid out in the guide, is estimated to take about 12 hours from start to finish. Ivan Marovic was one of the leaders of Otpor, the student resistance movement that played an important role in the downfall of Slobodan Milosevic in Serbia. 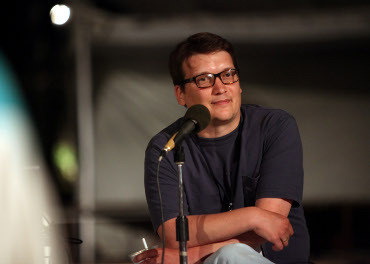 After the successful democratic transition in Serbia, Marovic began consulting with various pro-democracy groups worldwide and became one of the leading practitioners in the field of strategic nonviolent conflict.